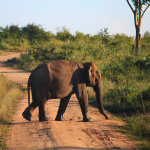 Planning on adventurous road trips in Sri Lanka? Then it’s ideal for you to pay a visit to some of our national parks while you are still on the Island. 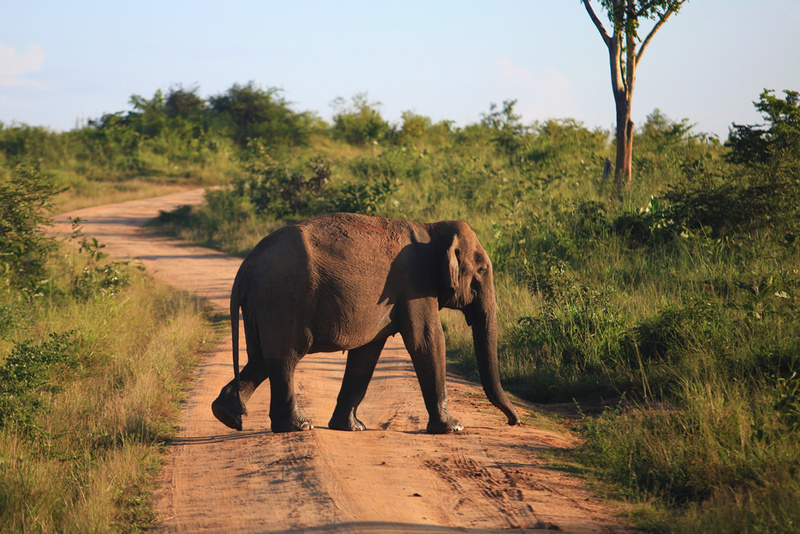 National parks in Sri Lanka serve as representatives of different geographical regions as well as serve as endemic attraction to all tourists. 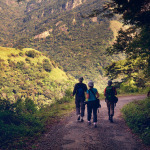 These natural spaces which are well protected and maintained give tourists the extreme chill of the nature. 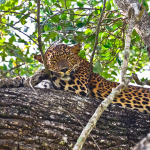 Some of the major national parks in Sri Lanka include Yala, Uda Walawe, Wasgamuwa, Sinharaja, Horton Plains and Wilpattu. 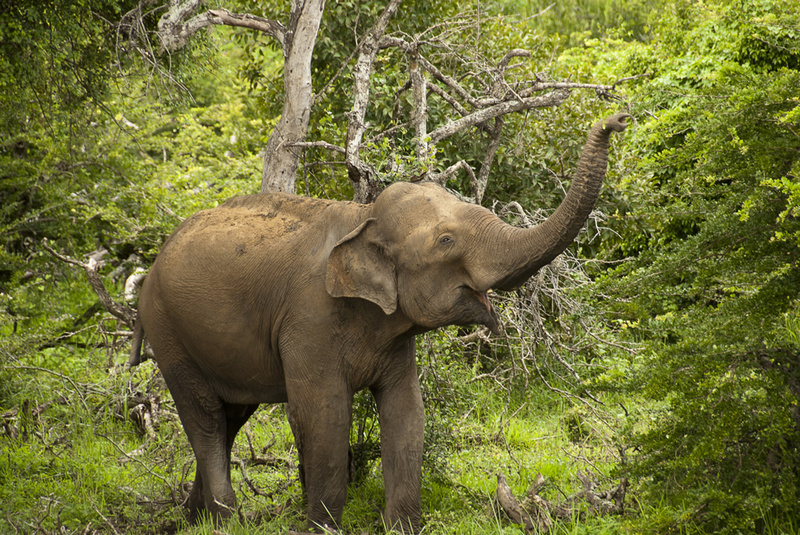 Acting as the second largest and the most visited national park in Sri Lanka was designed as a wild life sanctuary in 1900. 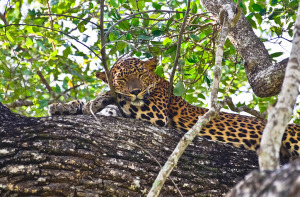 Ecosystems ranging from monsoon forests to fresh water and marine wetlands are hosted by Yala as well as various animal species. Metamorphic rock belonging to the Precambrian era is abundantly visible in the area. The most prominent soil of all throughout the park is a reddish brown soil. 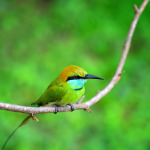 Some, among the attractive flora and fauna, bird and animal species include Neem, Banyan, Indian Blackberry, Hexandra, Toothbrush tree, Black-headed Ibis, Water fowl, black necked stork, Eurasian spoonbill, Asian Openbill, Sri Lanka pigeon, Sri Lankan Jungle Fowl, Elephants, Sloth Bear, Leopard, Red Slender Loris, Fishing Cat and Reptiles as Mugger Crocodile, Russel’s Viper, Indian Cobra and Olive Ridley. Tourists can enjoy their stay at a fully supplied tented safari camp. Your safaris around the park would be in Jeeps. 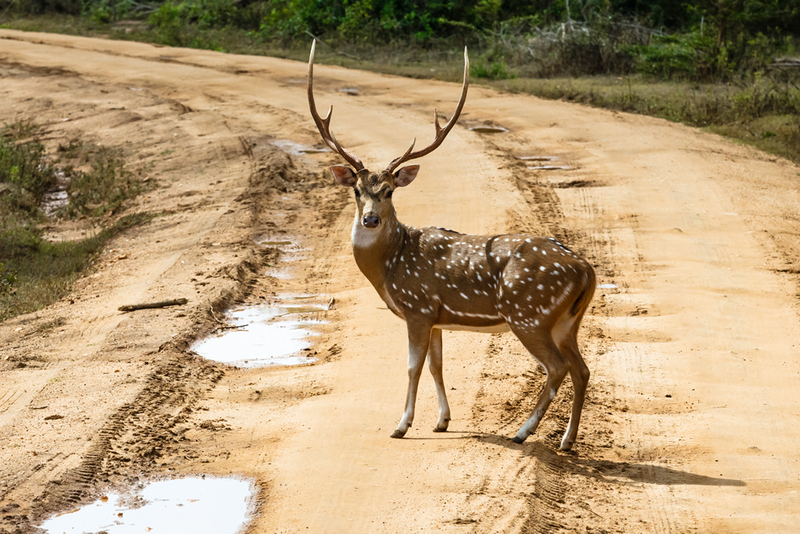 Lying on the boundaries of Sabaragamuwa and Uva provinces, this amazing national park was created to serve as a means of sanctuary to homeless wild animals with the construction of the Udawalawe reservoir. 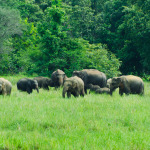 Water birds and Sri Lankan Elephants depend majorly on this vital habitat of the national park. 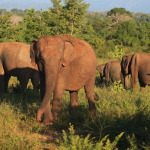 Acting as the third most visited national park of Sri Lanka is well aware of maintaining a long lasting attraction. 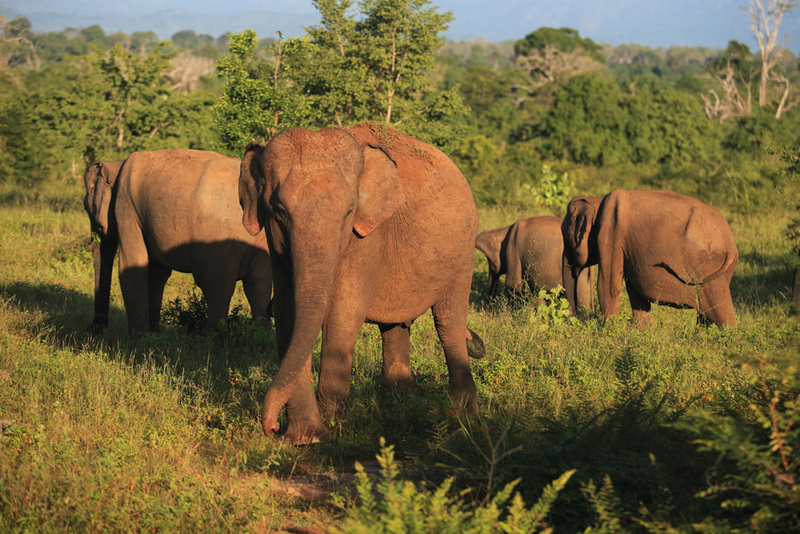 Over the past decades, Uda Walawe national park has proven to be one of the most exciting parks in Sri Lanka. With a surrounding of marshlands, forests and grasslands, the park consists of abundant flora and fauna, mammals, birds, reptiles and fish. 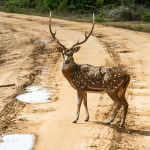 Some of the captivating and popular creatures to the park include, Sri Lankan Elephants, Rusty Spotted Cats, Sambar Deer, Sloth Bear, Axis Deer, Indian Muntjac, White Wagtail, Black Capped Kingfisher, Red Faced Malkoha, Orient Garden Lizards, Mugger Crocodiles, 30 species of snakes, Giant Gourami and Catla. Ride in the comfortable jeeps throughout your safari while enjoying every bit of excitement. 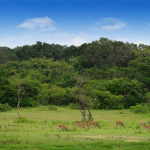 The refuge park of Wasamuwa which was created for wild animals is situated in the districts of Matale and Polonnaruwa. The name of “Wasgamuwa” was derived from the original name of “Walas Gamuwa” which means “Wood for Sloth bears”. 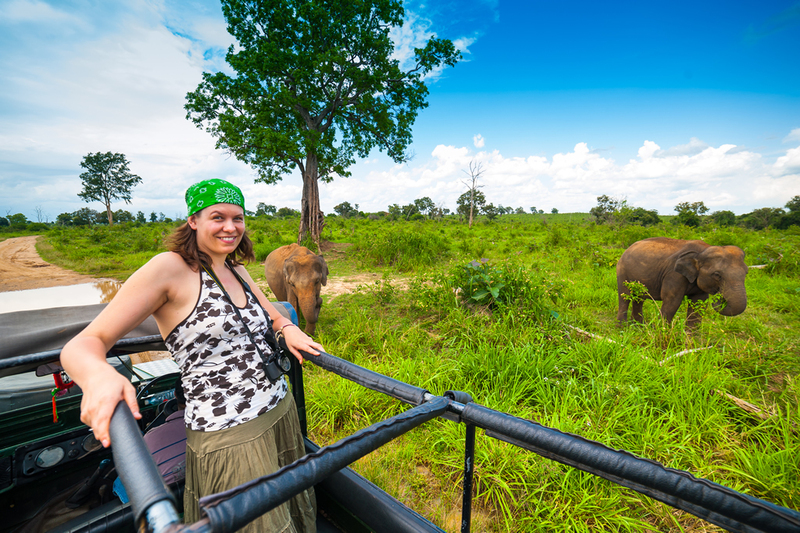 Possessing a dry climate naturally the park has been home to many wild animals that fit in. 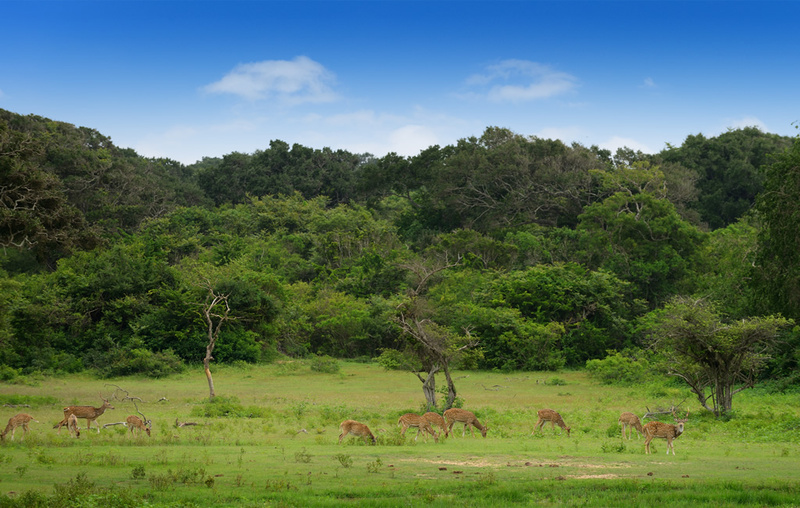 The rainy season lasts between October to January, yet represents as a Sri Lanka dry-zone dry evergreen forest. 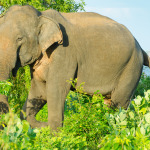 As the national park is situated in Polonnaruwa which was once a powerful ancient kingdom it has its consequences of holding possession to ruins of ancient irrigational tanks, canals and anicuts. 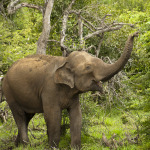 Popular as a highest biodiversity area in Sri Lanka, it exhibits many species of birds, mammals and flora. 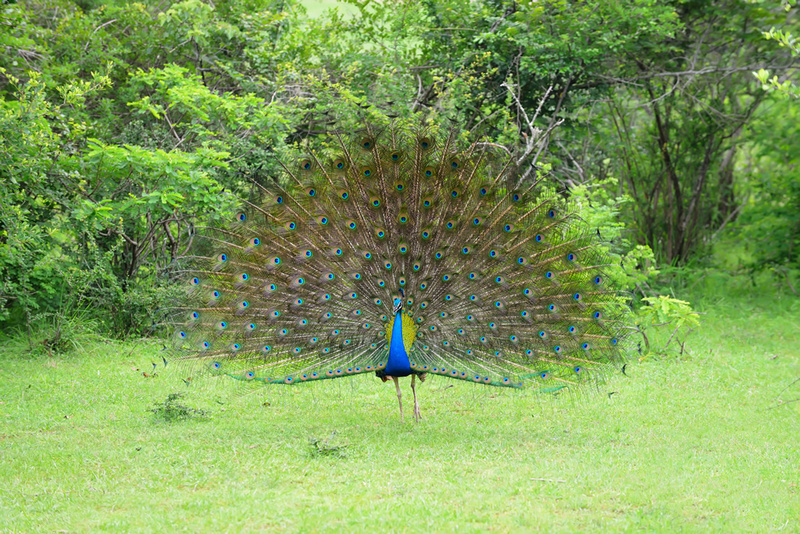 Peafowls enjoying the morning sun would be a captivating sight. The park is popular for hosting a herd of 150 Sri Lankan Elephants, Purple Faced Langur, Toque Macaque, Water Buffalo, Golden Palm Civet, Sri Lankan Jungle Fowl, Chestnut Winged Cuckoo, Peafowl, Combtail, Mugger Crocodile and 17 species of reptiles. Experience the thrill of adventure as you enjoy your jeep safari around the park. 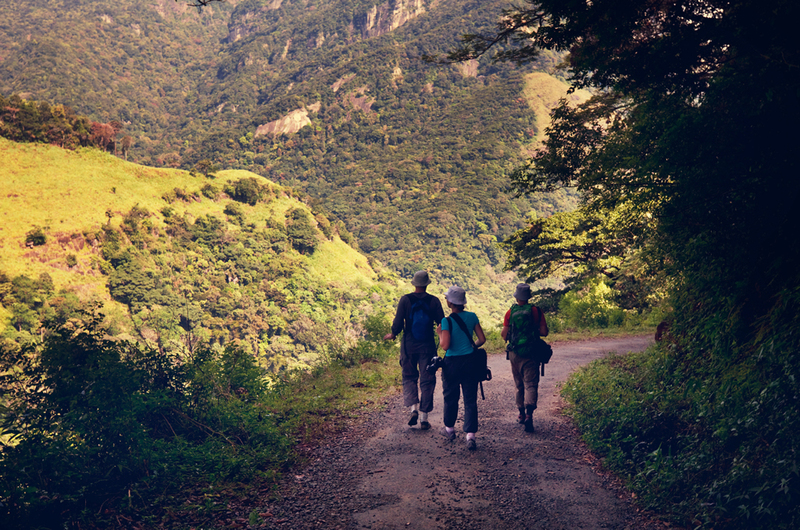 Needless describe the breathtaking atmosphere at the Sinharaja National Park while you can enjoy it to yourself. Yet again admiration of the park is unstoppable. Sinharaja Forest Reserve which acts as a biodiversity hotspot of Sri Lanka attracts tourists from various parts of the world throughout. 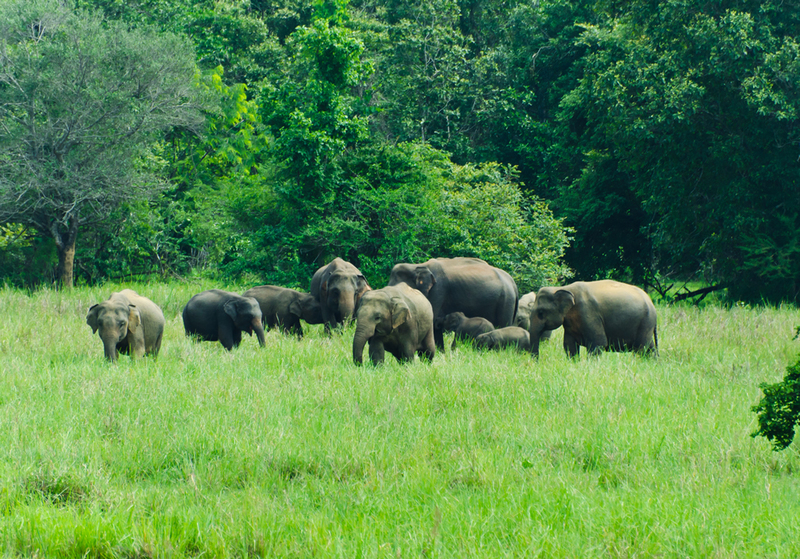 Sinharaja which is also a UNESCO world heritage site is home to many refugee animals. The reserves name “Sinharaja” translates as “the kingdom for lions”. 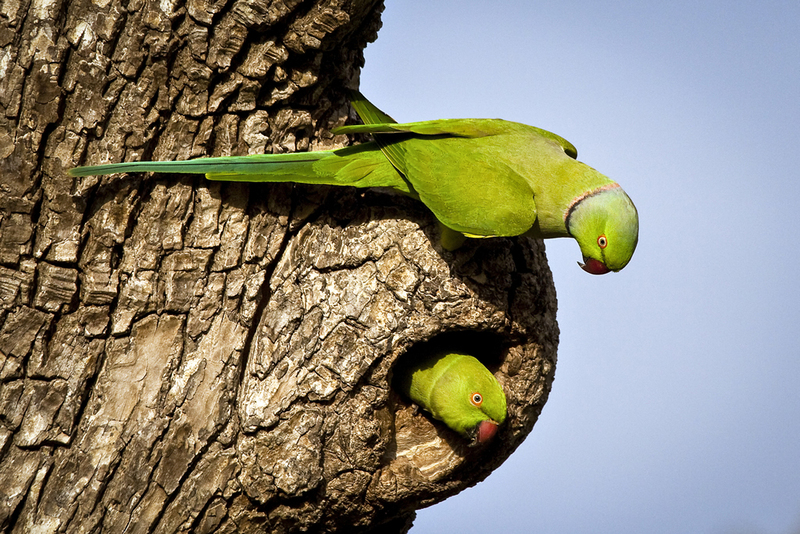 Birds from various destinations tend to invade the forests during seasons. 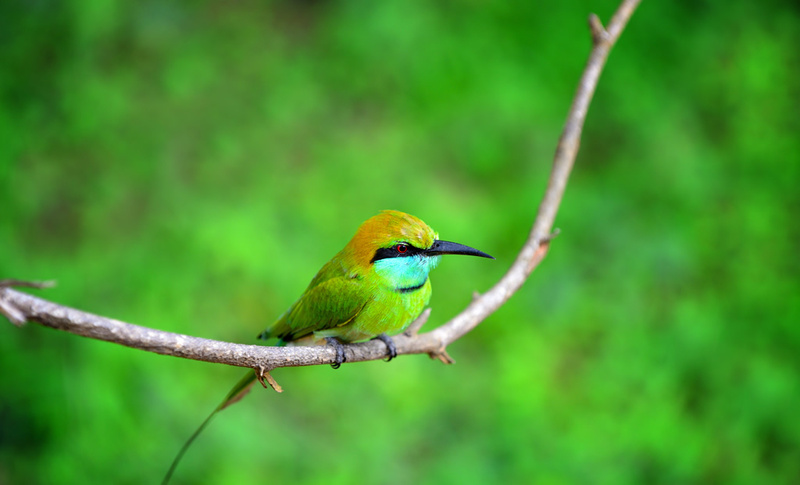 The forests host 26 endemic bird species and 20 rainforest species. 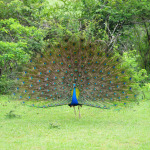 Abundantly visible birds, mammals and reptiles include Sri Lanka Blue Magpie, Red Faced Malkoha, Green Pit Viper, Common Birdwing Butterfly, Stripe Necked Mongoose, Whistling Lizard, Indian Black Turtle, Wrinkled Frog, Indian Hog Deer and Sambar Deer. Among the tallest trees 211 trees have been reportedly endemic. Capture the amazing moments while being aware of inevitable leeches. 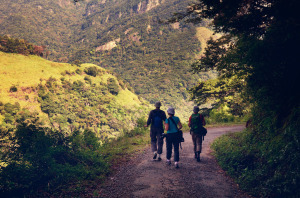 Tourists can enjoy a walk at the Sinharaja Forest Reserve while exploring nature at its best. The protected national park resides in the central highlands of Sri Lanka. The cloudy forest rich in biodiversity species is just 32 KM from Nuwara Eliya. The site was designated as a national park in 1988 and acts as the host of the head waters of Mahaweli, Kelani and Walawe rivers. The park which was created in 1969 has a genuine biodiversity value. 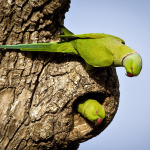 The park has served its purpose in terms of acting as shelter to many homeless animals, birds, reptiles and flora as well as dominating the tourism industry with increased attraction throughout. The famous Adam’s Peak is seen right across the park. 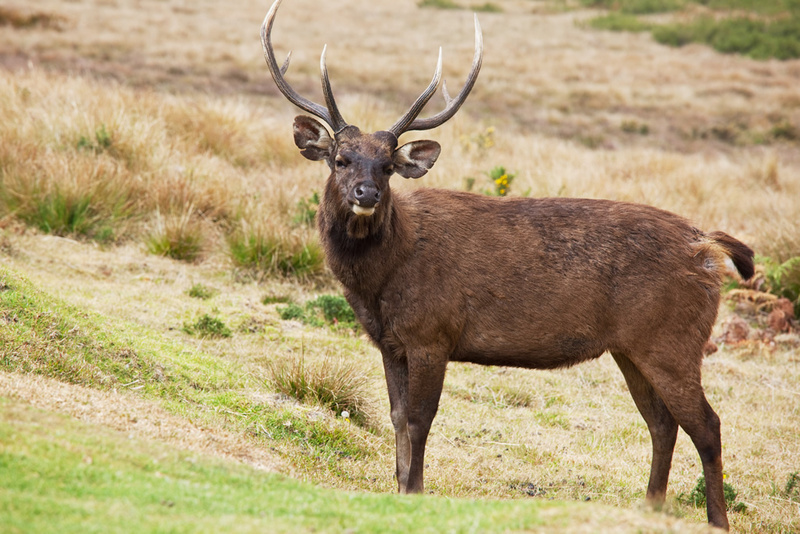 Tourists from various parts of the world are attracted to the undying beauty of Hortan Plains. 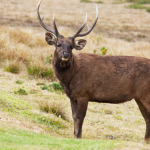 Herbaceous flora, Macrophytes, Sedge, Bamboo, Orchids, Tree Ferns, Sambar Deer, Toque Macaques, Mongoose, Grizzled Giant Squirrel, Red Slender Loris, Serpent eagle, Wood Pigeon, Yellow Fronted Barbet and Black Throated Munia are some of the most commonly seen species in the park. This park will be everything wild you ever looked for. 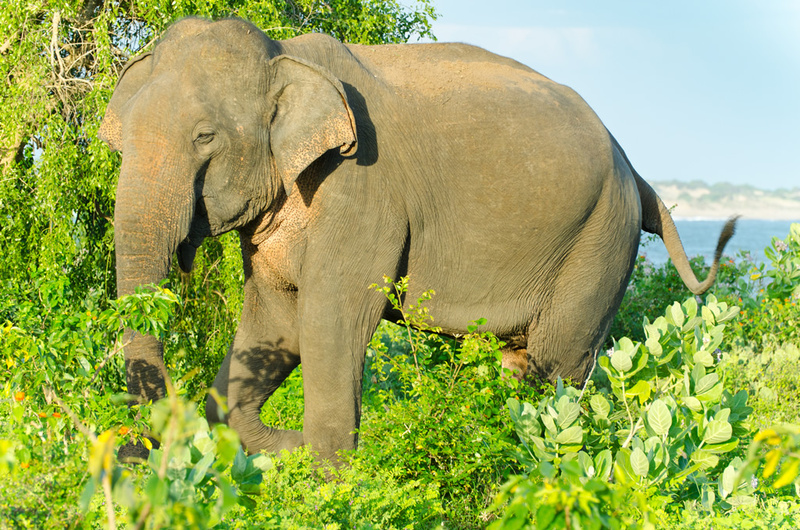 The name “Wilpattu” when translated means “the land of lakes”. Lakes are formed naturally in the form of basins rimmed with sand and filled with rain water and nearly six lakes and tanks are visibly seen throughout the park. 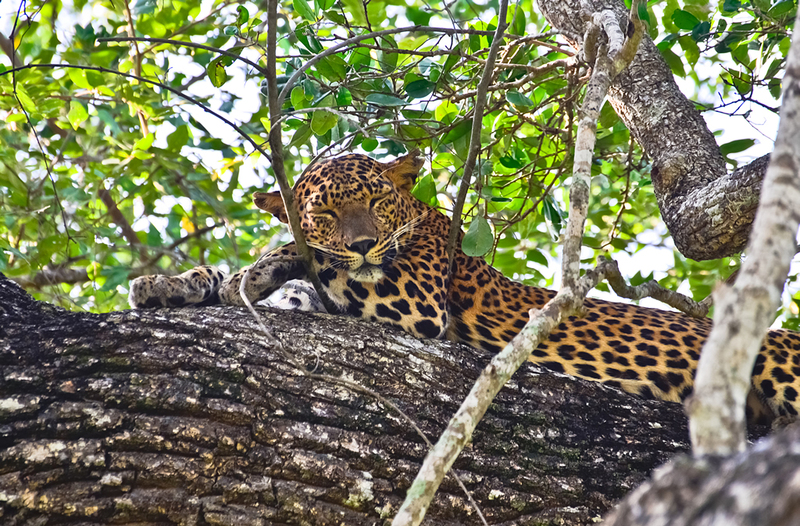 Wilpattu National Park is world renowned for its existence of Leopards. The annual rainfall is about 1000mm and temperature is reportedly about 27.2 degrees. 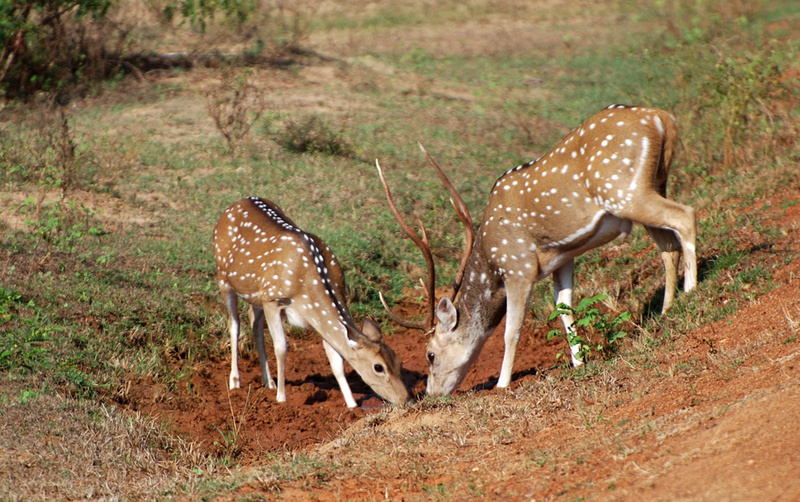 Varieties of species of mammals, birds, reptiles and flora are noticed in the park. 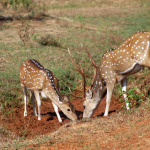 Little Comorant, Spotted Deer, Painted Stork, Panthers, Mongoose, Shrew, Buffalo, Common Cobra, Indian Python, Rat Snake and Pond Turtle are some of the many varieties the park hosts. Enjoy your jeep safari throughout the park while capturing the amazing beauty in the park.